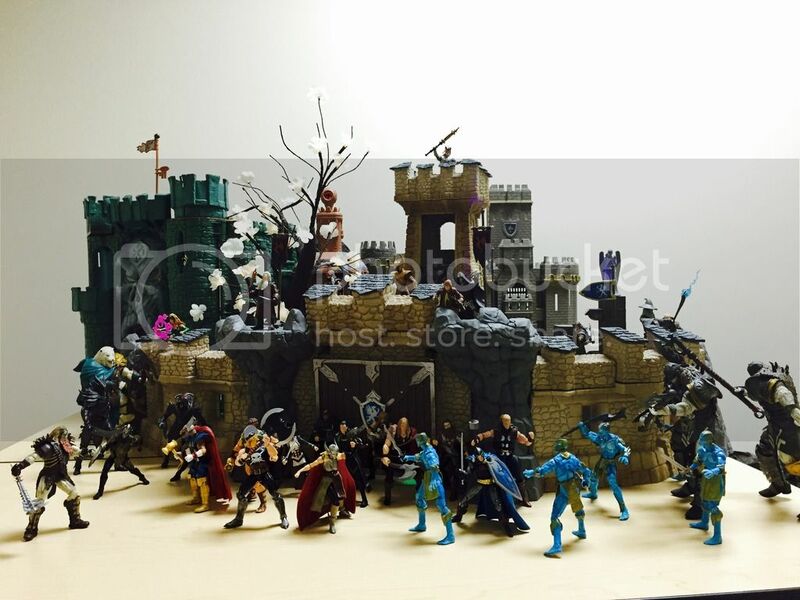 So much awesome going on here. 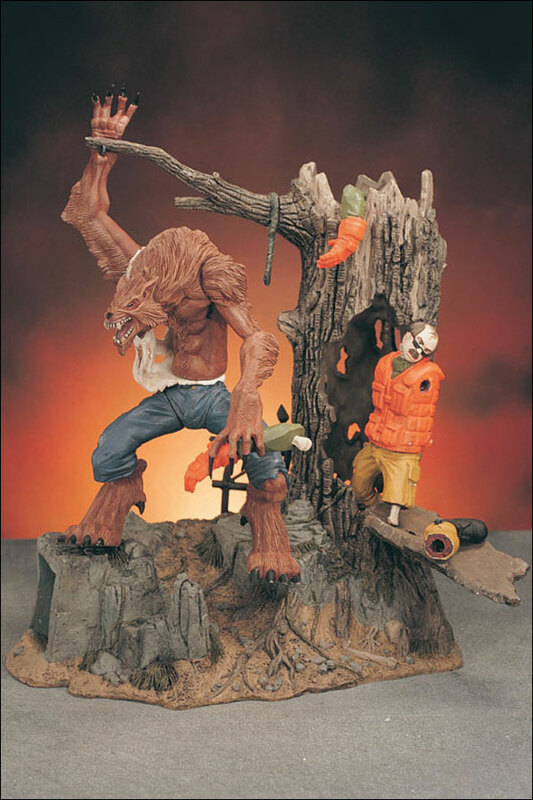 Back in 98-99 McFarlane also had 2 waves of monsters that came with a victim and a small playset. 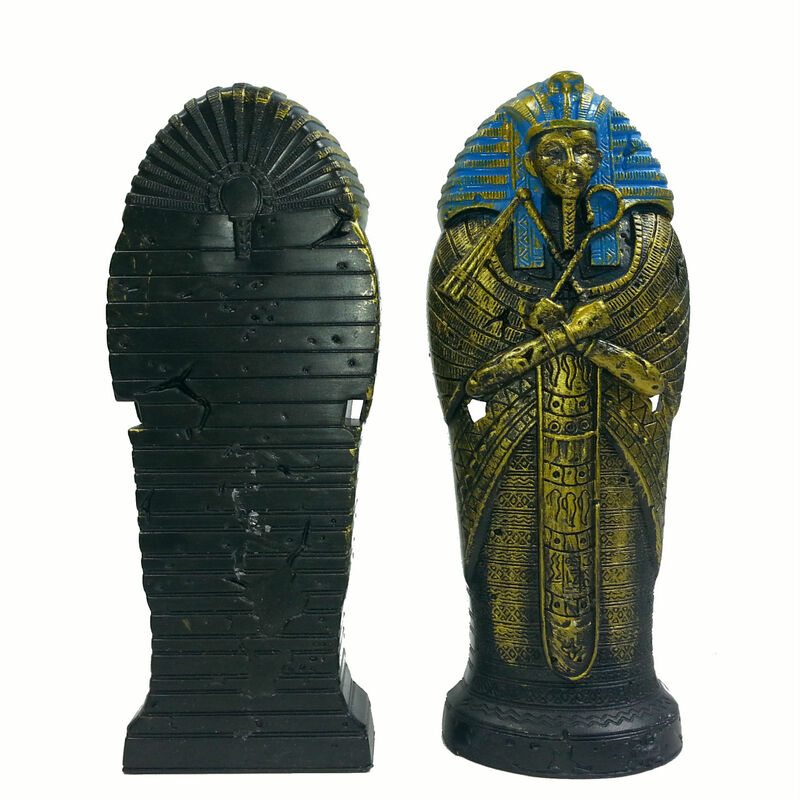 Egyptian Tomb with a Sarcophagus. 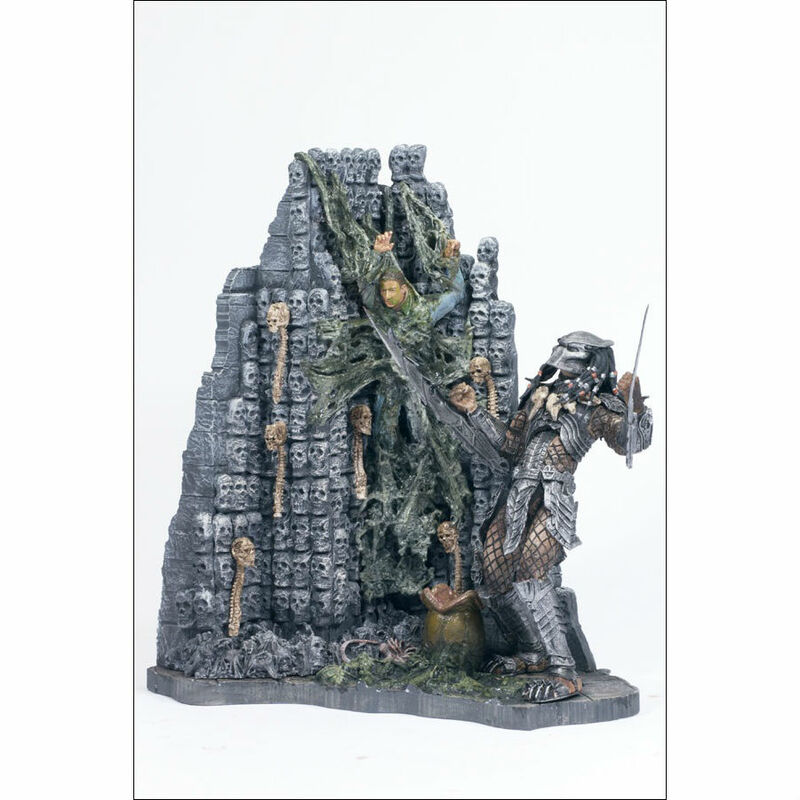 The guardian could be considered a dio item since he has a stone deco. Small sunken boat on small section of water. 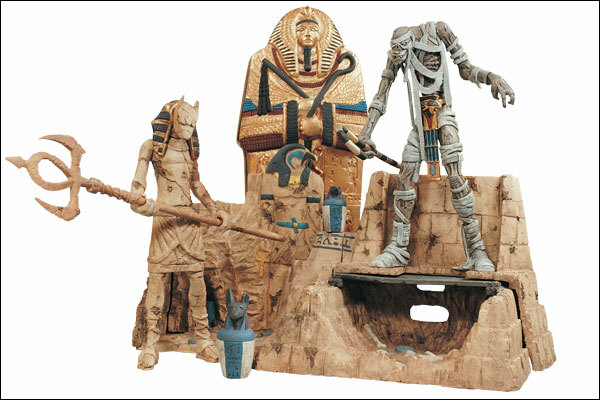 Hey I got the mummy set with the Anubis statue guy way back when those were new! 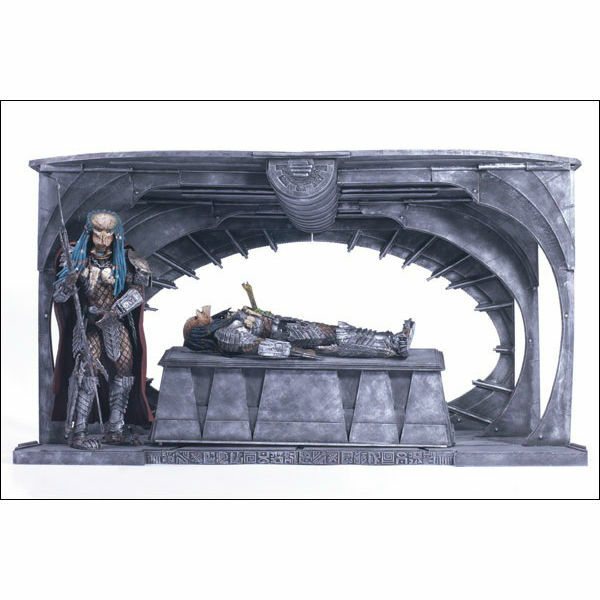 It was pretty cool except the hinge for the sarcophagus broke almost immediately but it still rests on it well enough. 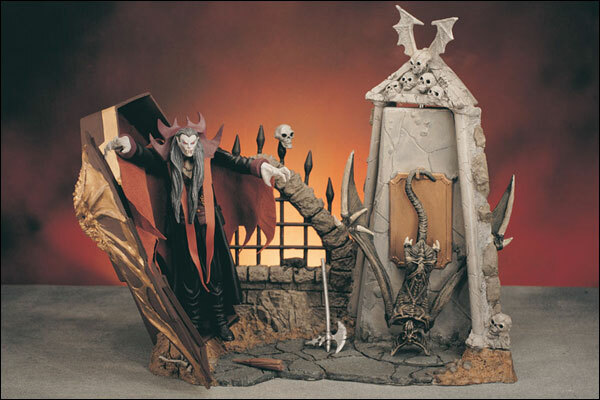 I've thought about digging it out to use in my Marvel display with Apocalypse or Moon Knight. That's a pretty good idea. 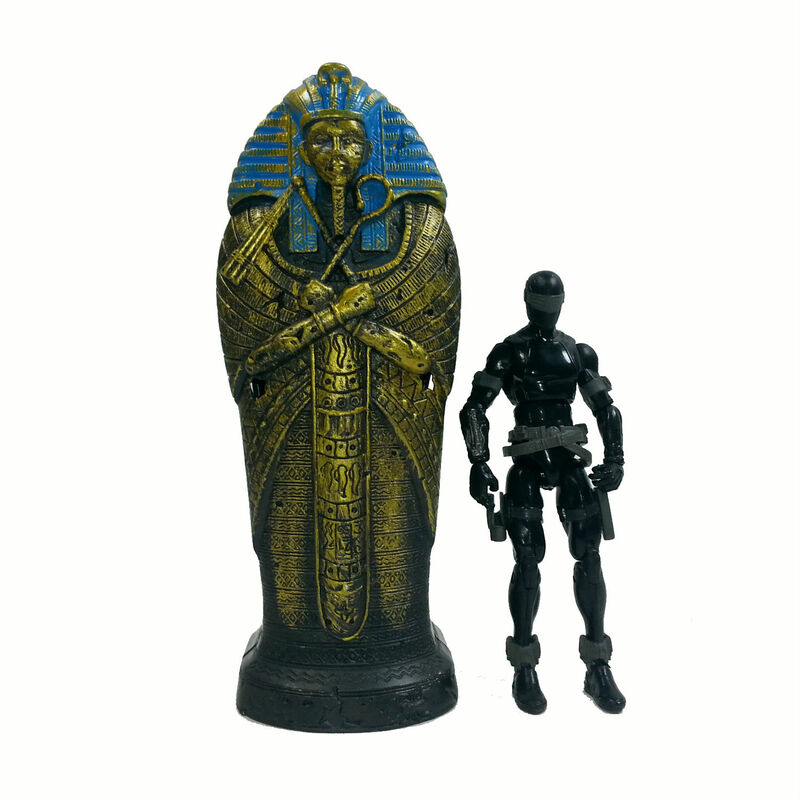 Chap Mei has a sarcophagus too from their Adventure Heroes line. I like it a little better than this one. 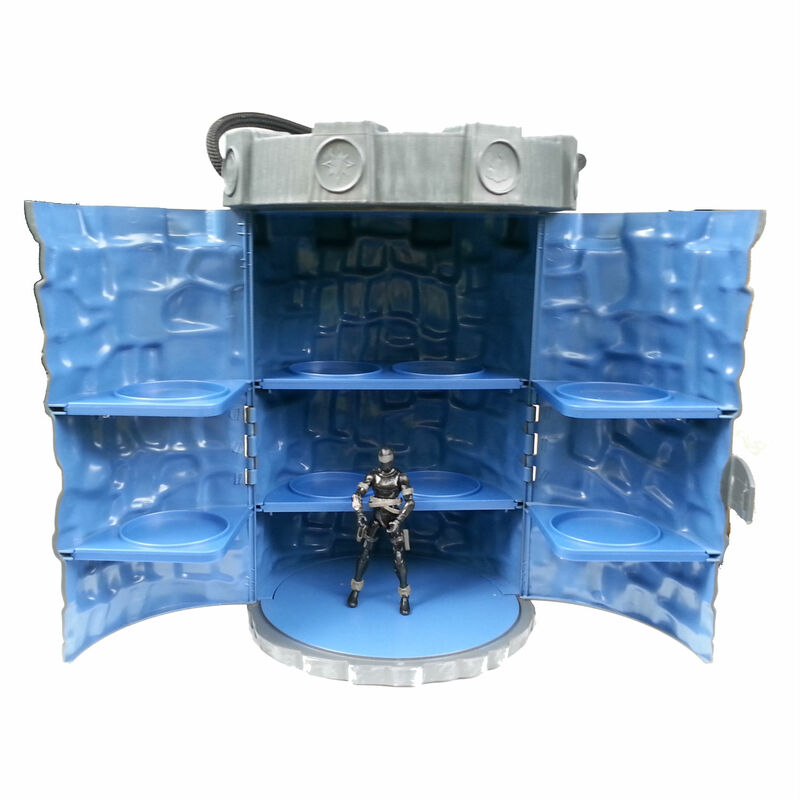 Diamond Select Stargate. 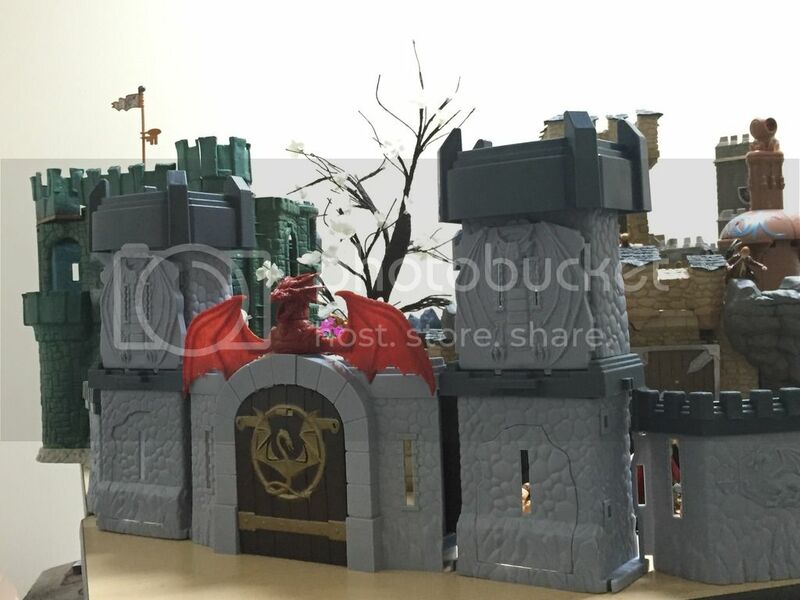 The SG 7 inch figs each came with a piece to build the gate and ramp. Out of scale for the 7 inch line, but works well for 1/18 scale. 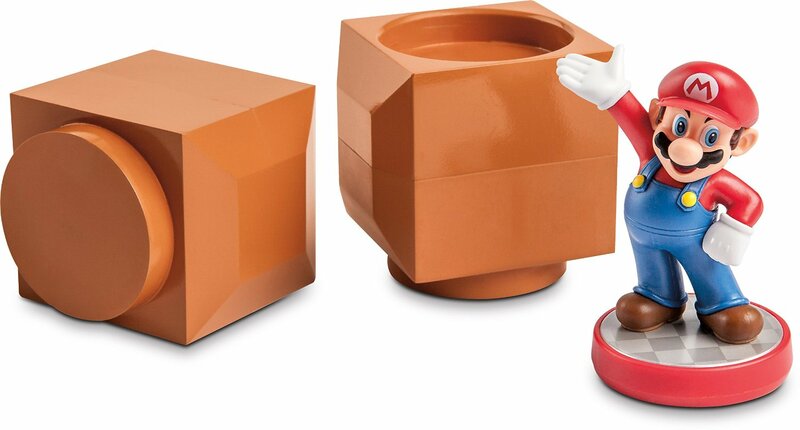 Also more pieces from the Tech Deck line, each square was sold as a separate piece and another step piece. I have the Opera Balcony. 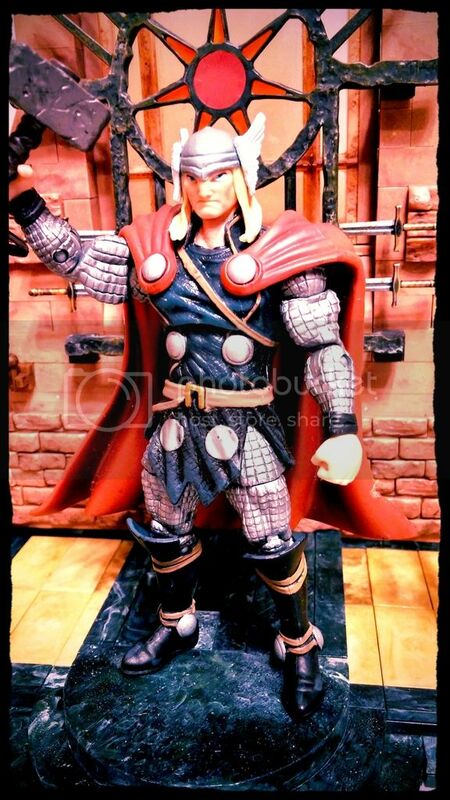 It looks real good with my Remco and Funko Phantom figures. 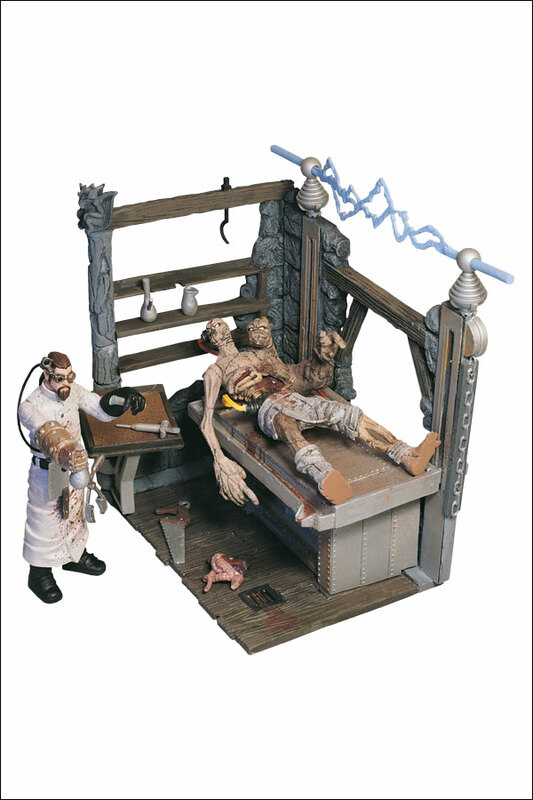 Have the Wave 2 Frankenstein Lab and Creature playsets too. Like the bell tower. 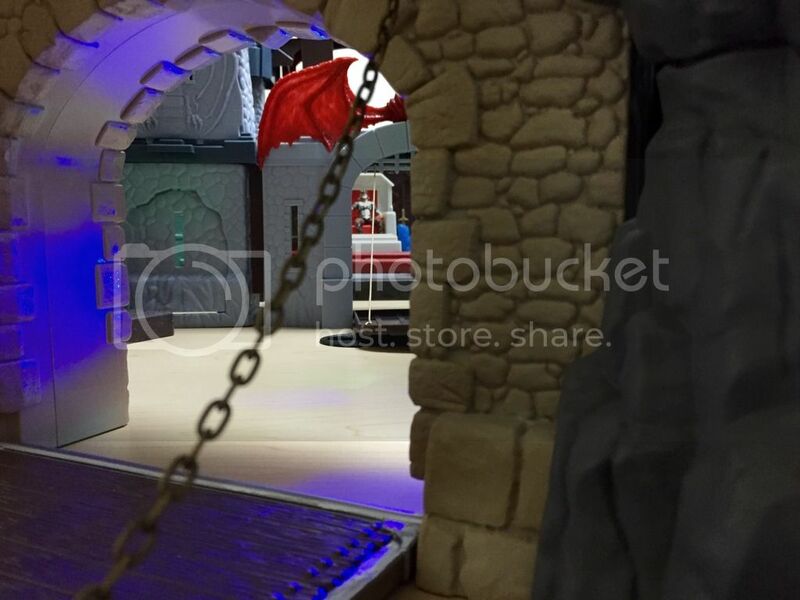 That Stargate looks really nice. I like the inserts you have in there. 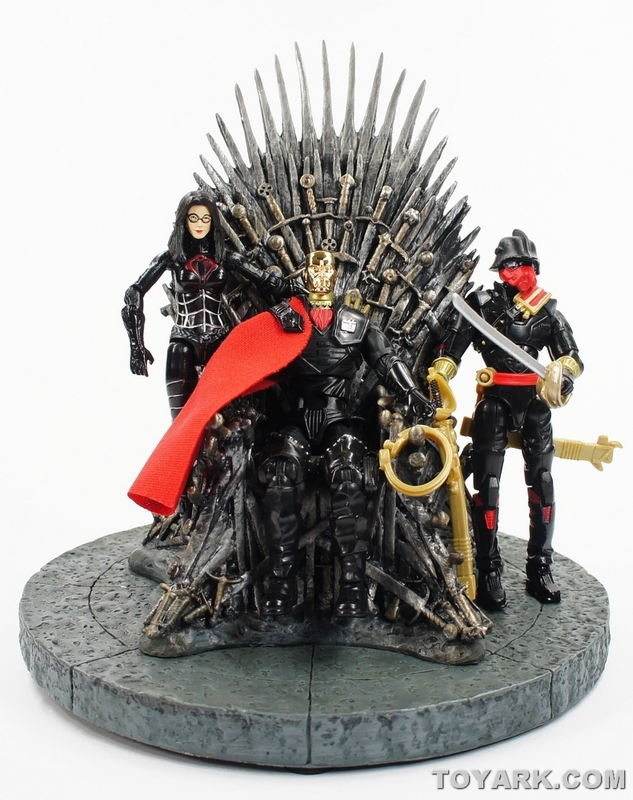 I saw those are sold on Ebay. How is the quality of those inserts? The Bell tower is pretty cool. It was the last set I got. 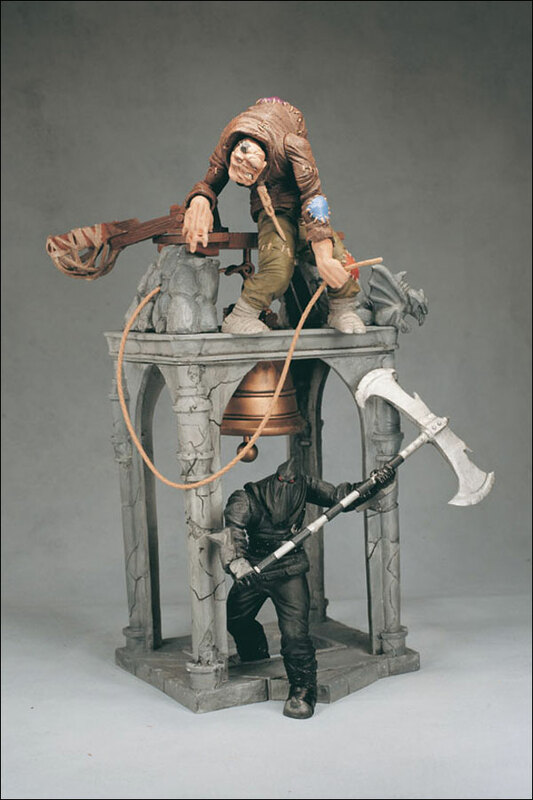 I am still getting my house back in order after I moved a couple weeks ago but once I have my collection rooms set up I plan on putting the bell tower at the top of one of the Schleich castle towers. 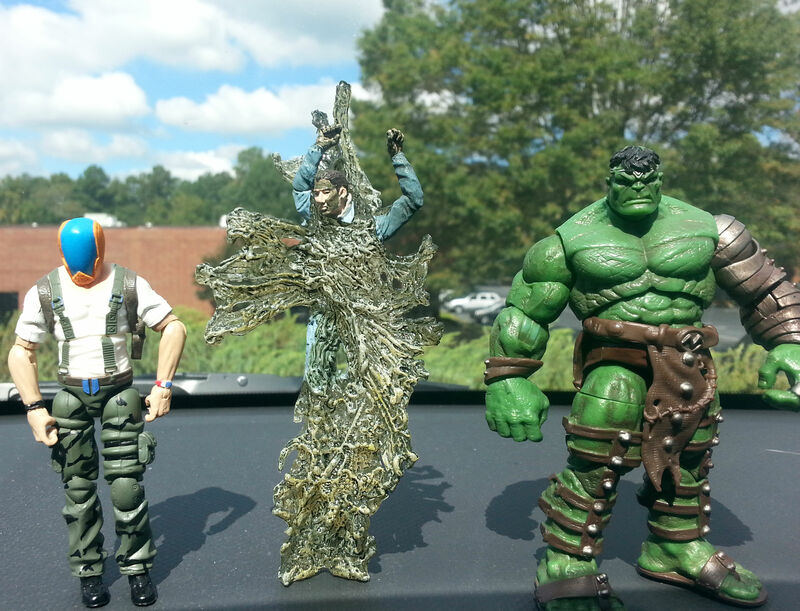 I'll wrap up the McFarlane playsets I am aware of. 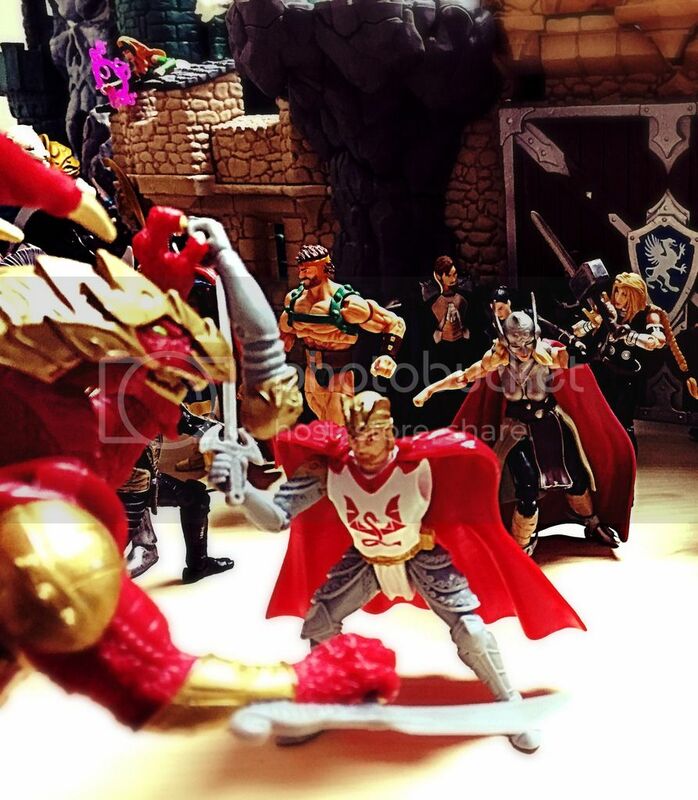 Get rid of the mini throne and figures and it makes for a nice background. 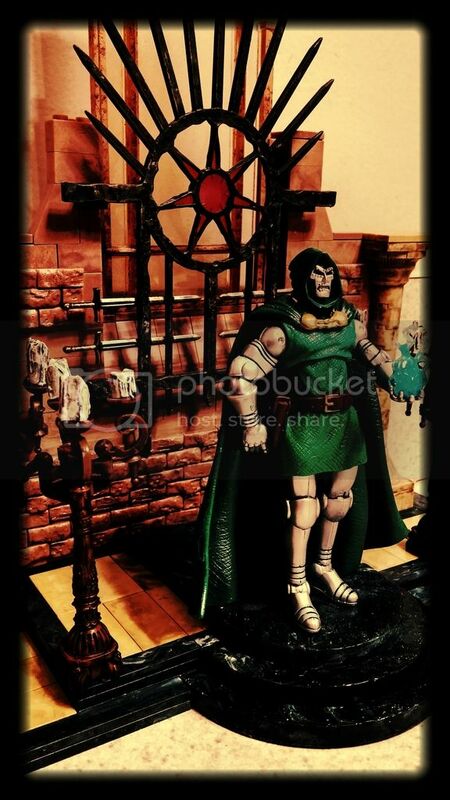 McFarlane's Iron Throne building set makes a great Asgard/Latveria diorama. 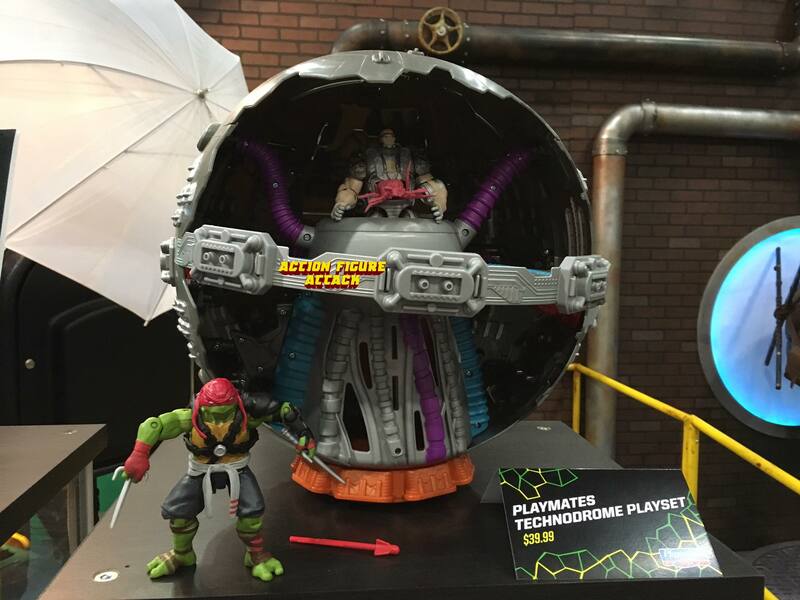 Toy Ark reported images of the new Technodrome for the upcoming TMNT 2 movie line. 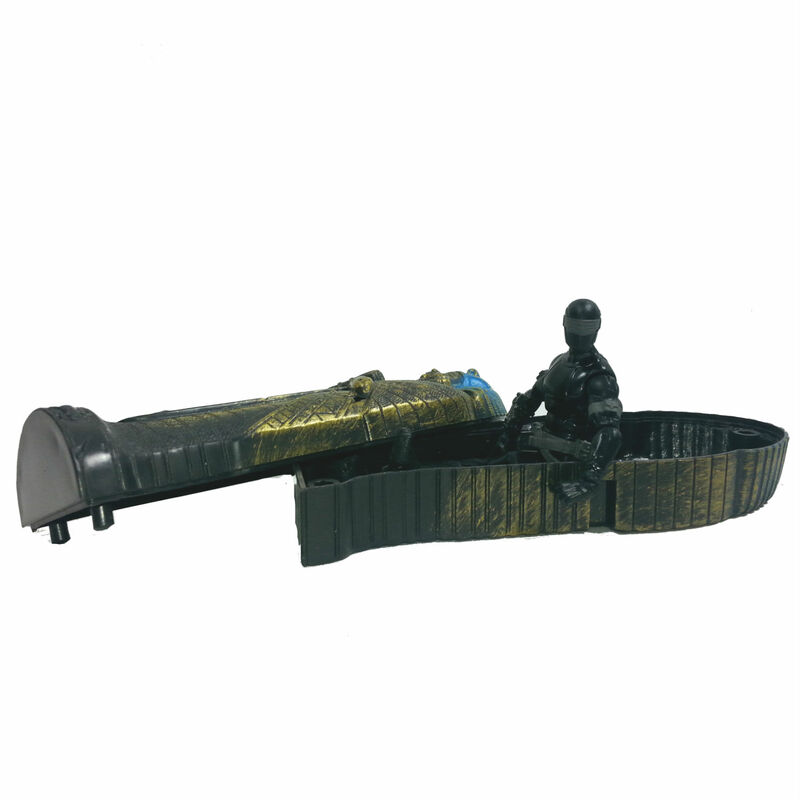 Looks like a small vehicle more than a playset though. Thanks. Was a lot of fun setting up. These were great. 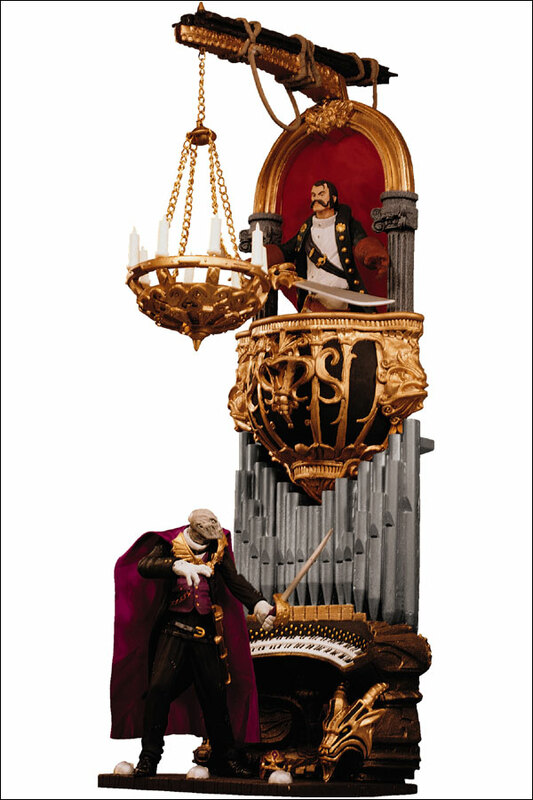 I especially loved the Phantom opera balcony. 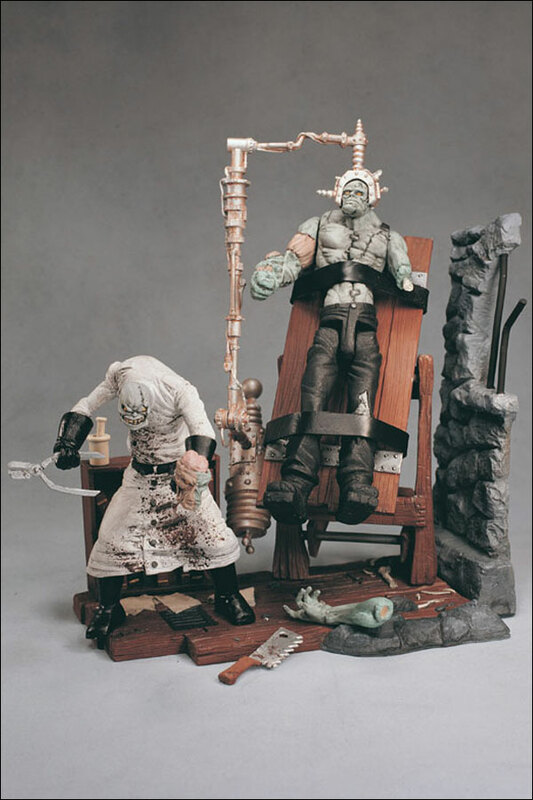 The Frankenstein labs from each series were made to go together, making a larger lab scene. Last edited by ludovicotek; 03-28-2016 at 02:47 PM.. I need a Stargate that show was awesome! 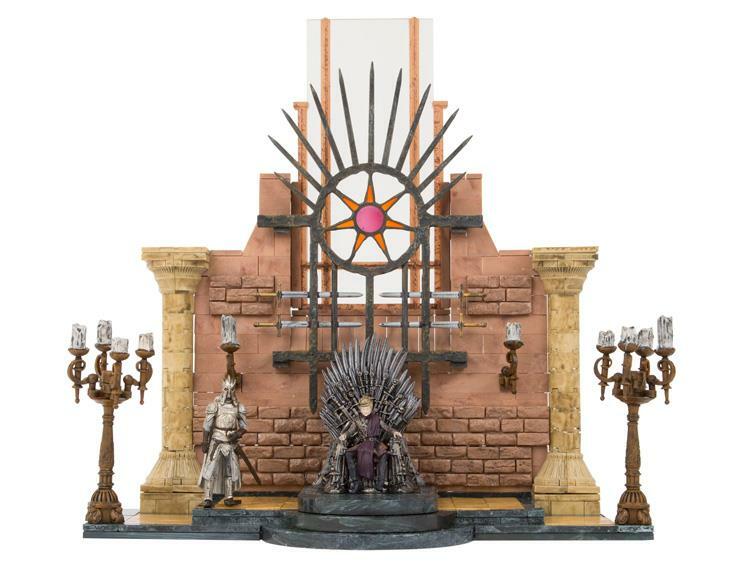 So for Game of Thrones McFarlane has the pretty cool mini throne room that can be used a generic backdrop. 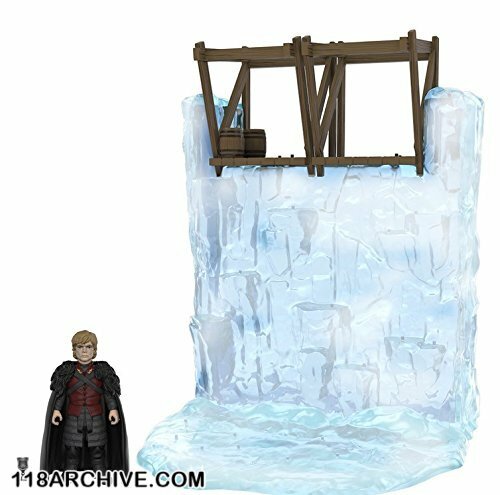 Some other Game of Thrones playsets and items are the upcoming Funko 3 3/4" action figure line with The Wall playset. 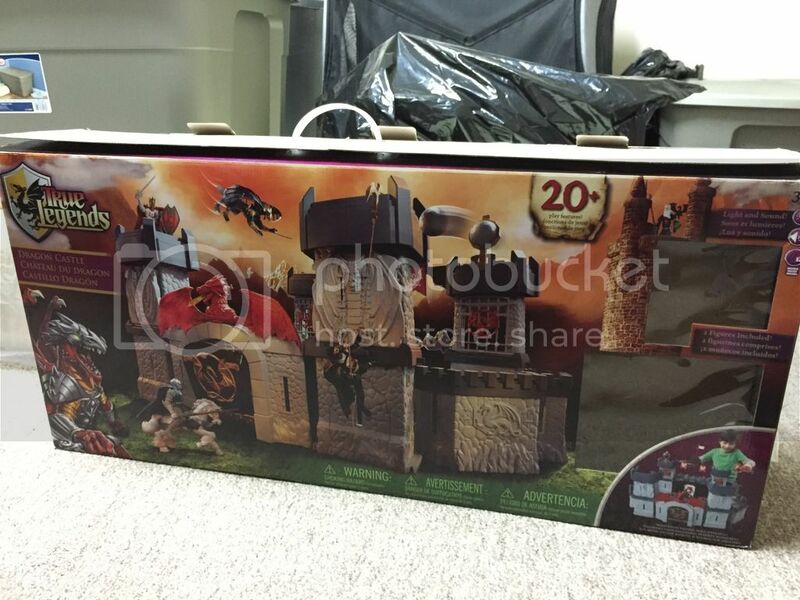 I'm really looking forward to this set. 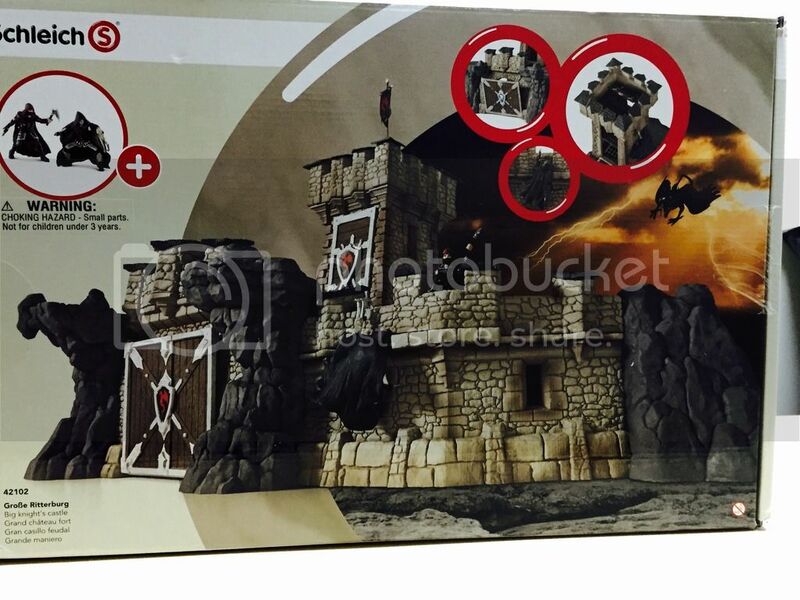 Depending on the price I might get a couple and set them next to each other to simulate the real Wall. 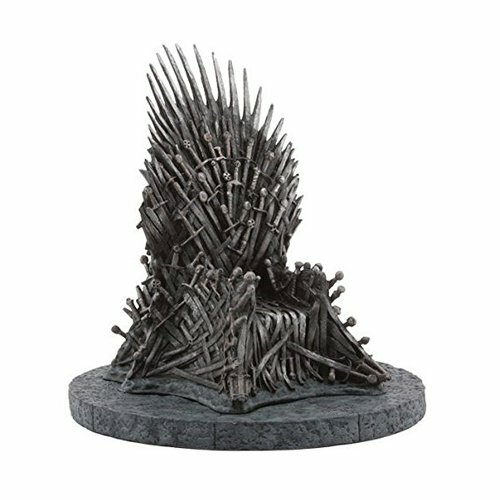 There is also a Gentle Giant 7" Iron Throne polystone display piece. 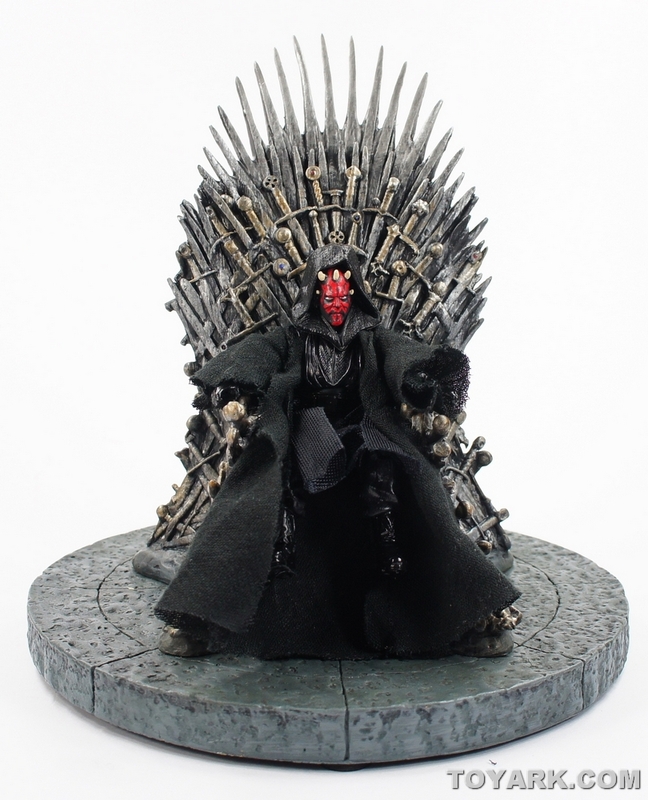 Here is some pictures and an old article on Toyark about the Iron Throne. I think I would like to see how snuggly they fit together before I would commit to more than 1 of them. I'll probably just get 2. One for each end and then have some kind of home-made foam based piece in the middle so I could make it however long I wanted. 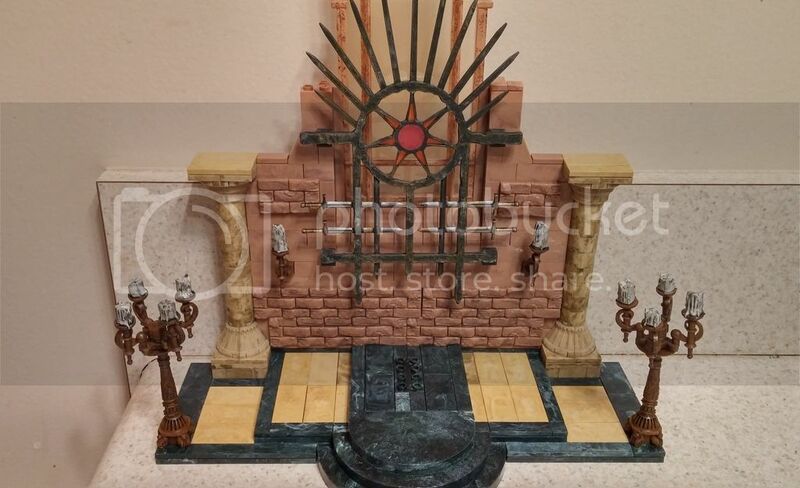 There also needs to be a gate piece. 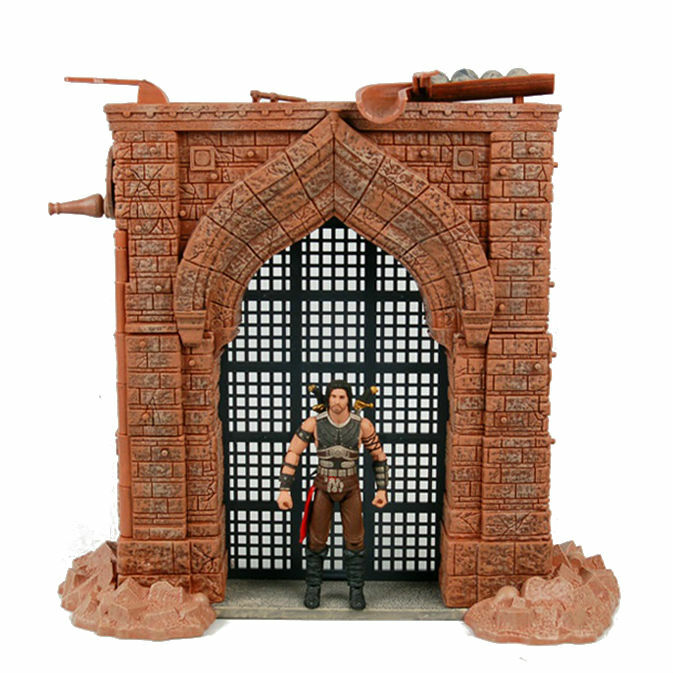 You could consider modifying the Prince of Persia gate. This thing is huge! Took two tables to barely fit it. Thank you again, TheArchivist! 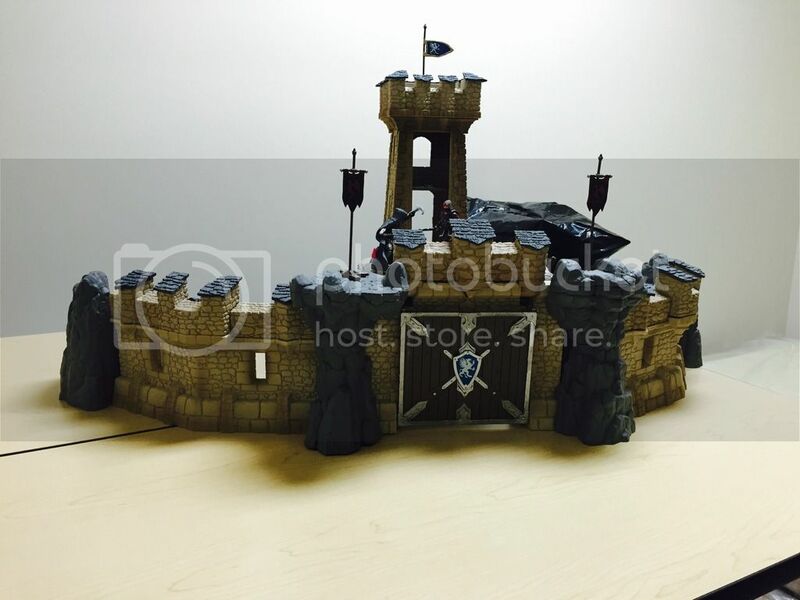 Last edited by Universe; 03-29-2016 at 08:48 PM..
^ That castle looks awesome. I'm glad you like it Universe. It is awesome. I got a few of them when the were listed on Walmart.com for $10. 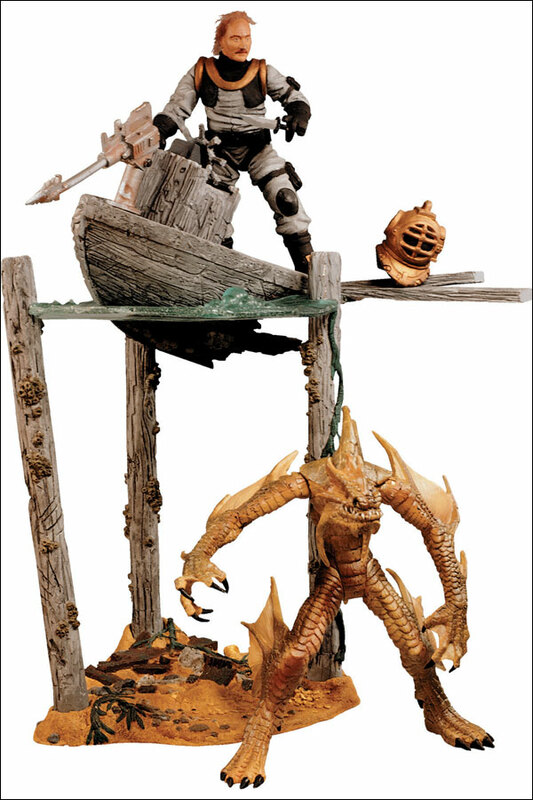 I thought I was done with McFarlane's stuff but I was going through some boxes last night and ran across some of the AVP stuff. 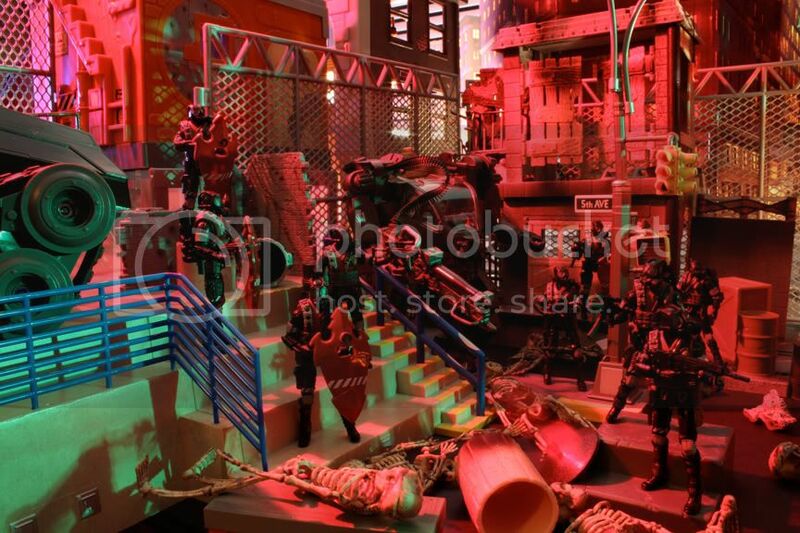 They has some mini-playsets for that line as well. The skull wall is my favorite out of these. The victim guy is removable. Here is a scale picture of him. Last edited by theArchivist; 03-31-2016 at 07:31 AM.. 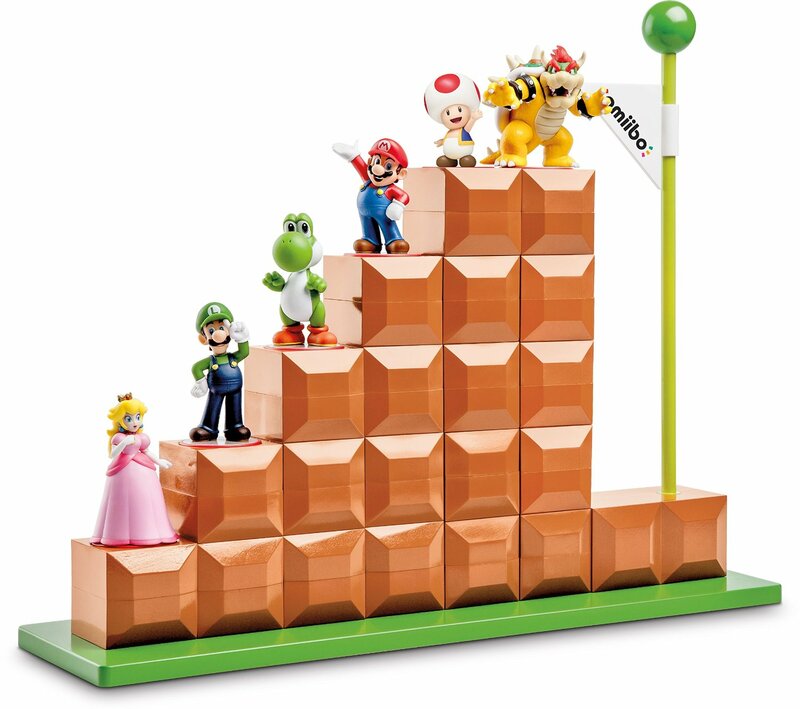 Here is a fun Amiibo display for Mario figures. It's only $10 on Amazon right now. 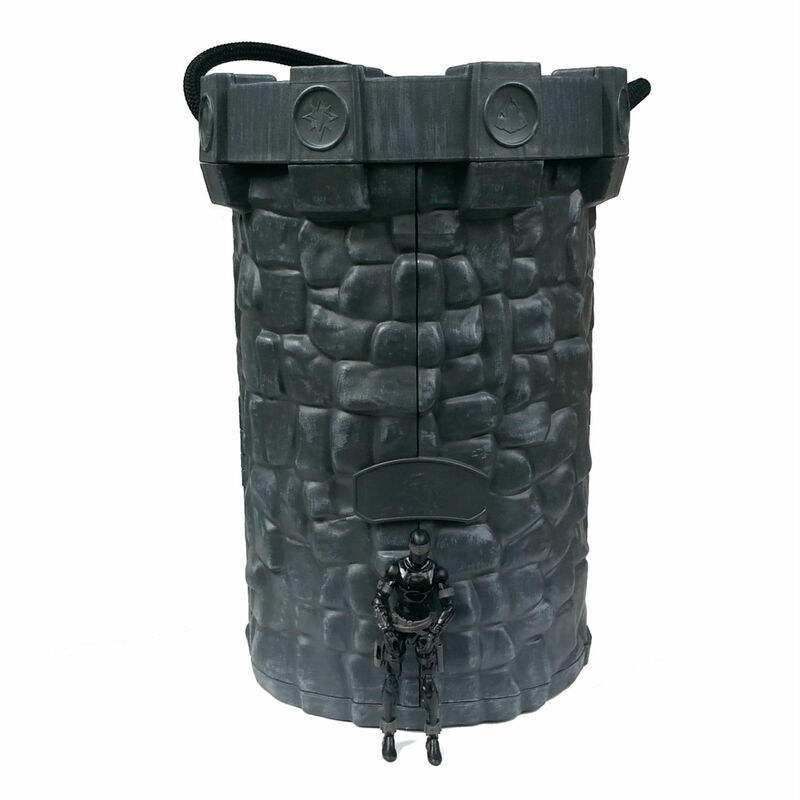 Each block is a separate piece so you can configure it any way you want. 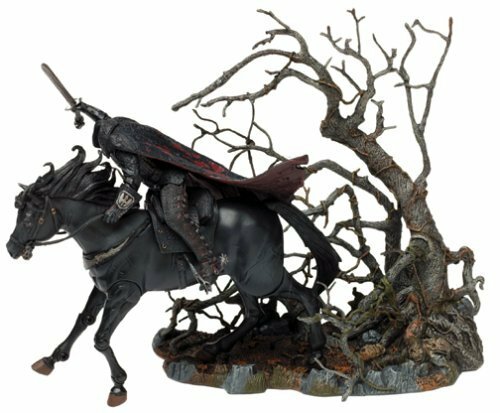 There is no paint, just colored plastic, but a black wash would make it look real nice I imagine. Last edited by Universe; 03-31-2016 at 08:02 PM.. I've been on the fence about that one for a while now. 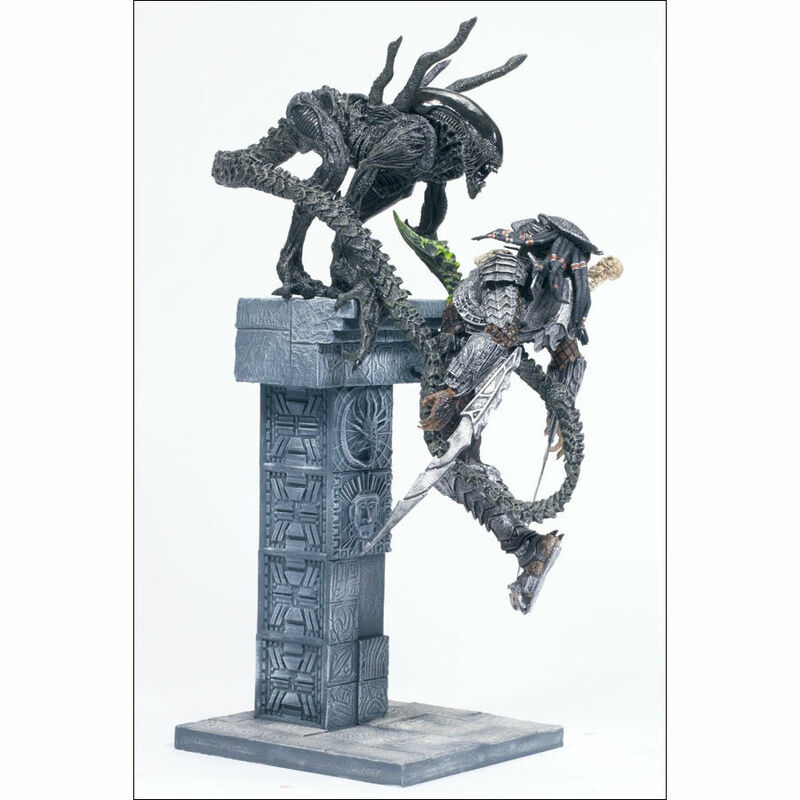 The figures were very poor quality. 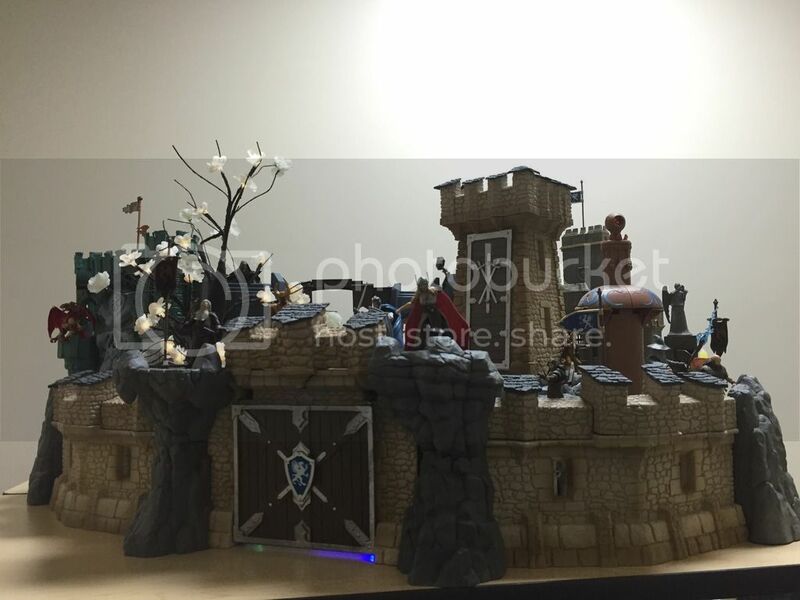 Here is another fun Castle. 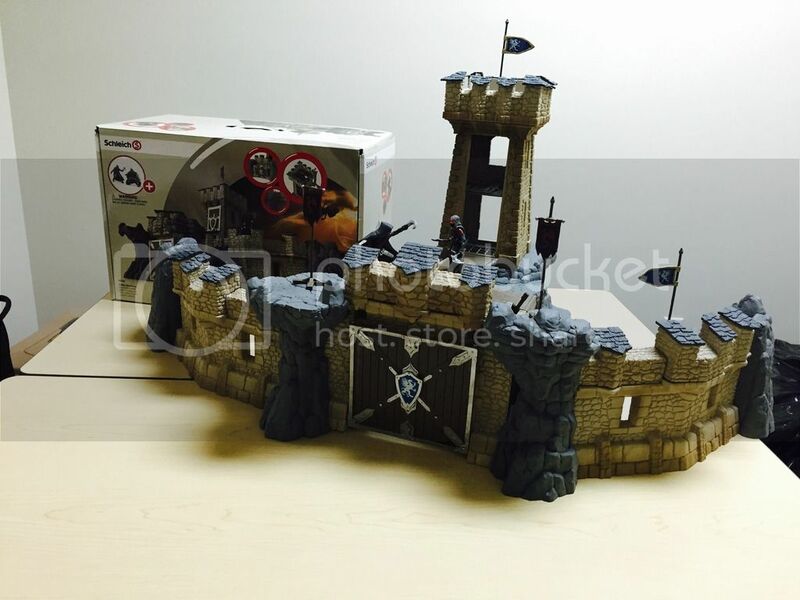 Skylanders carrying case. Yeah that is what happened to all the Knights I got.